In his remarkable book, Jude the Obscure, novelist Thomas Hardy paints a painful picture of Jude, a young man in late nineteenth century England who tries to break class barriers by entering Christminister College. In twenty-first century America, we have a related problem. Young people of modest means feel excluded from higher education, especially elite colleges and universities. While eight million find their way to community colleges, there is often no clear and compelling path to a baccalaureate degree. Moreover while some senior institutions actively recruit community college students, many exclude them. And those that do accept community college transfers usually provide little support, academically and financially. I therefore offer the following proposal and challenge to all bachelor degree granting institutions: open your doors to recruit and accept community college transfers in the number of ten per cent of your junior class. By doing so approximately 200,000 community college students will be admitted to four year colleges and institutions, bolstering the number of bachelor degree graduates in our country. This proposal is not entirely new. Some private elite institutions such as Smith , Amherst and Mount Holyoke Colleges where I live in Western Massachusetts have been recruiting community college students for decades. And these schools have set aside special financial aid to enable community college transfers to afford the high tuition costs. Outgoing Smith College President Carol Christ told me that the Ada Comstock program at Smith dedicated to community college transfers is attractive to Smith alumnae because they understand that their contribution goes twice as far. Why? Because entering as juniors, these transfers have to be supported for only two years of undergraduate education. Elite private colleges and universities have been criticized for their privileged position in American society. These institutions draw their undergraduates primarily from the advantaged and therefore, their campuses are not reflective of the socio-economic or ethnic profile of our society. As non-profits they enjoy substantial tax advantages: their donors are shielded from federal taxes and their campuses are exempt from property taxes. Finally, these schools, especially the private research universities, receive substantial federal government funds in the way of grants and research contracts. By opening their doors to community college students four year colleges, especially the private elites, will make their student body more diverse creating a better educational environment for their traditional students. Moreover, their tax exempt status is predicated on the assumption that these institutions perform a public benefit. By assisting those of modest means to earn a bachelor’s degree, they will create opportunity for upward mobility affirming that one’s birth circumstance should not dictate one’s place in society. Some may be concerned that community college tranfers in large numbers may not be successful at four year institutions. The Illinois Education Research Council in a new report, The Community College Penalty: Fact or Fiction, concludes that this is not so. According to the findings, “community college transfer students were just as likely to complete a bachelor’s degree as rising four-year college juniors when matching on key factors.” Furthermore, the study found that 85% of the community students in the study had earned a bachelor’s degree within five academic years of transfer. Four year colleges should be pro-active in their approach to encouraging community college transfers. They can actively recruit as they do their traditional students. And they should set up academic support programs to make the transition easier. But most important, the senior institutions must establish scholarships directly aimed at community college transfers to help them afford the higher tuition and living costs. 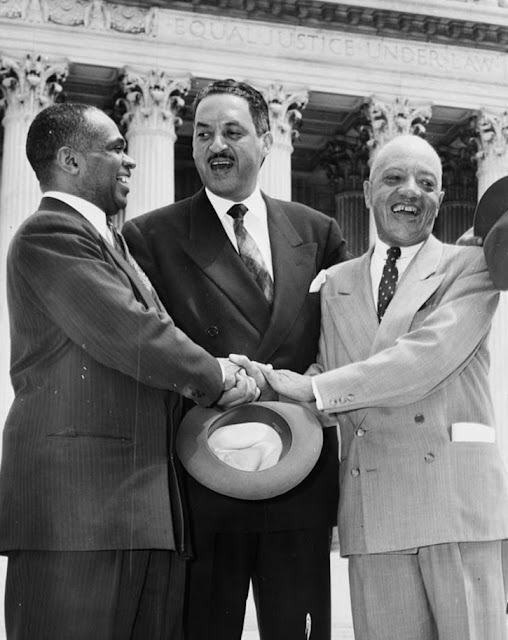 It’s been almost 60 years since the 1954 Supreme Court decision Brown vs. Board of Education led to the dismantling of segregated schools in the South. While legal segregation was halted, public schools especially in large cities have become increasingly segregated by circumstance. Now higher education is under scrutiny for having established a segregated system, this time primarily by socio-economic status. While undergraduate higher education in the U.S. can be parsed in a variety of ways, the biggest division is between the growing community college segment and that of four year public and private universities and colleges. Surprising to many, community colleges enroll 45% of all undergraduates and that fraction is growing. Moreover, the majority of all black and Latino undergraduates are enrolled at community colleges. Compared with students at senior institutions, community college students come from markedly poorer families. The details are documented in new research, Bridging the Higher Education Divide, by The Century Foundation. The report’s conclusion is clear: four year colleges, especially the elite privates, draw primarily from the top income brackets, while community college students come primarily from lower income groups. And since 1982 the gap is widening with fewer community college students coming from the top fourth of the income scale. Moreover, community colleges are neglected when it comes to federal and state funding. Thus expenditures by the federal government go primarily to private and public research institutions and state support per student is typically higher at state universities compared with community colleges. This discrepancy of funding is compounded by the ability of four-year colleges and universities to charge higher tuition. This reinforces the wealth-based nature of the higher education system. Higher charges at four-year colleges limit access to those without wealth, and the preponderance of students from wealthier families allows four-year colleges to charge more. Since tuition and government support is higher at four year compared to two year colleges and highest among the most elite colleges, greater expenditure per student inevitably follows. The pattern overall is remarkably clear: according to The Century Foundation Report, educational expenditure per full-time equivalent undergraduate student in 2009 was $10,242 at community colleges, $12,363 at public masters colleges, $15,919 at public research colleges, $16,810 for the private masters institutions, $21,392 for the private bachelor’s schools, and $35,596 for private research universities. And if we look at expenditure per student, not expenditure per full-time equivalent, the effect on community colleges is more dramatic since so many of their students go part-time. This is an important distinction. Instructional costs could be reasonably measured by the somewhat fictitious full-time equivalent, a student who takes 30 credits per year or 15 credits per semester. However, the cost of other services to students -library, counseling, advising, registration, financial aid assistance, tutoring – are proportional to the number of actual students. So the use of full-time equivalents undercounts the cost to community colleges while providing a benefit for the most elite institutions whose students can afford and attend full-time. We have yet to arrive at the most important point from an educational perspective: for a variety of reasons community college students are as a whole weaker academically than four year college entrants. This does not mean that community college students are incapable of learning or performing at high levels. To do so, however, community college students require more, not less, academic help and guidance than those at senior institutions. Unfortunately and tragically for these students the segregated system of American higher education is constructed so that they receive inadequate and insufficient academic support for their needs. Thus it is clear: higher education is a divided system with two major components: community colleges and four year colleges and universities. But it is also an unequal system. Higher education is separate and unequal, a circumstance that has significant consequences for individuals as well as the nation as a whole. I’ll write more about that in later posts.